Eclectic Educating: Summarizing, Summarizing, and MORE Summarizing! Summarizing, Summarizing, and MORE Summarizing! Summarizing is definitely a tricky skill for students to master, particularly struggling readers. 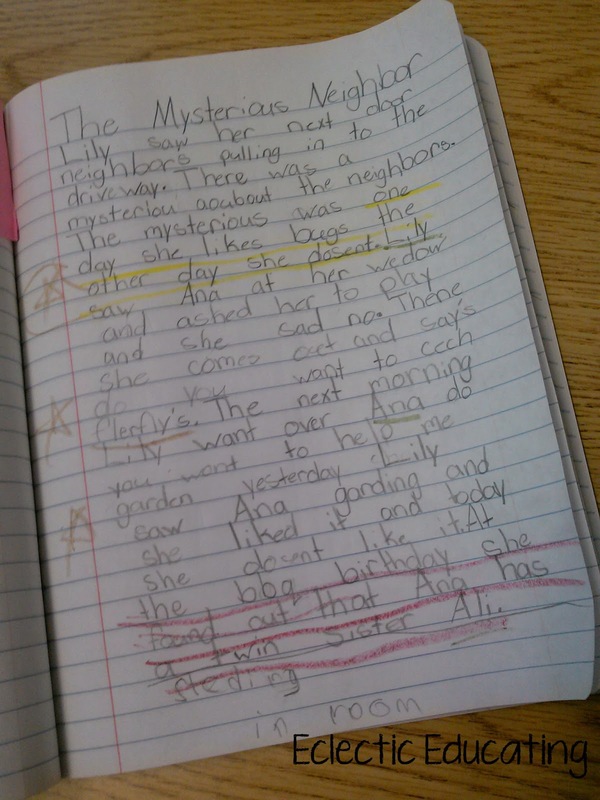 In the third grade, summarizing begins to take center stage in reading comprehension. It is all over the state tests and a huge part of the DRA. In my opinion, explicit instruction makes all the difference for summarizing. You have to be very clear about what is expected. What better way to explain expectations than with an anchor chart?! I like to have very distinct explanations about what a fiction summary looks like versus a nonfiction summary. So far, we have focused only on the fiction summary. I have explained to students that story elements must be included in the summary, but how you weave these elements together in your explanation also plays an important role. The summary has to make sense! After reading our first book, I modeled what a good summary looks like. I had the summary typed up, and we went through the summary together and underlined the story elements. For the next book, we created the summary together through guided practice. 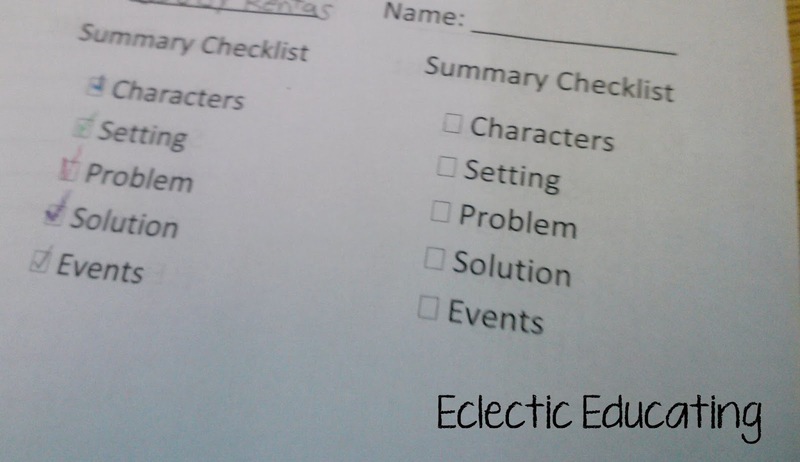 Once finished, we went back and used a checklist to make sure we had all of our story elements. Students underlined the different elements with different colored crayons. For a copy of the checklist, click here! 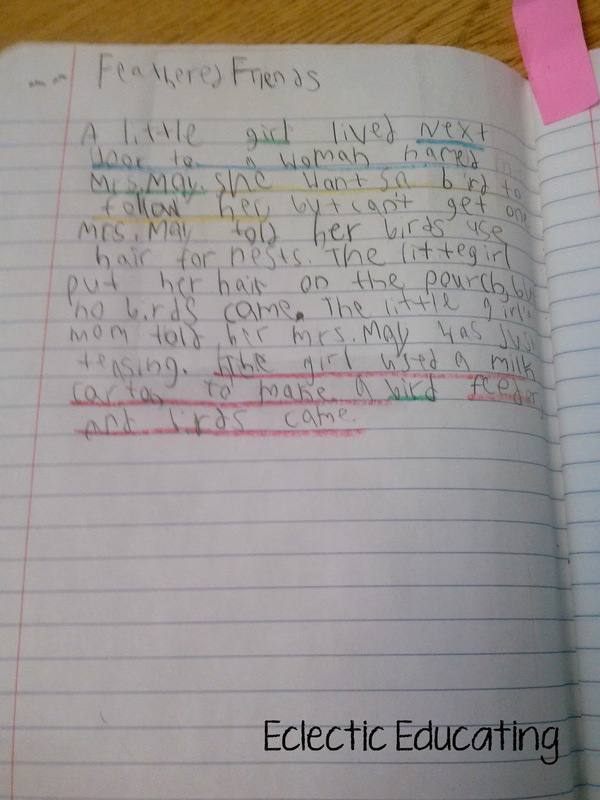 For the third story, students wrote their summaries independently. They self-assessed their summary with the checklist. Then, students traded summaries with another student. That student then used the checklist to analyze the summary. Interestingly enough, most students forgot to mention the setting in their summaries! I was really impressed by my students' independent summaries! I think the checklist was very helpful. We are going to venture into nonfiction summaries next week. 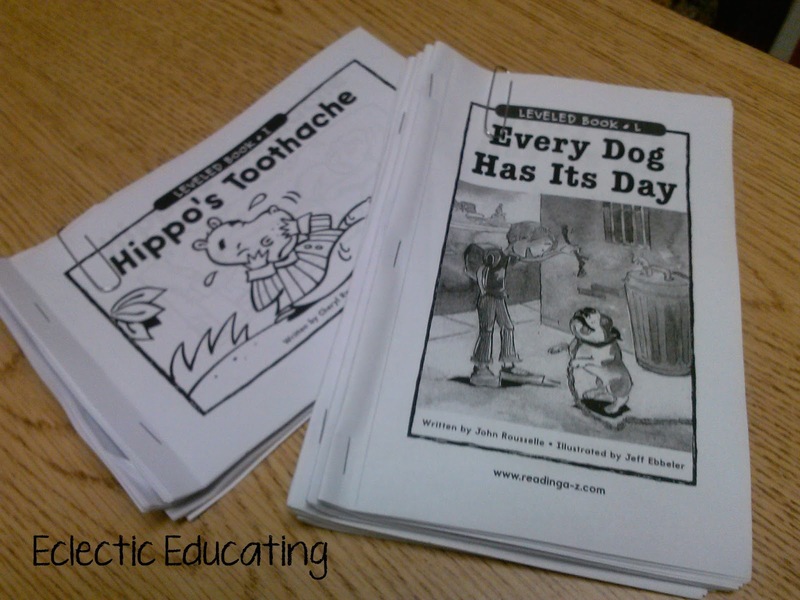 Once finished, we will continue to work on a combination of nonfiction and fiction summaries for added practice. On a side note, I noticed that these Reading A-Z books are awesome for stories with very clear cut problems and solutions. I also love being able to send home the books with the students when we are done. 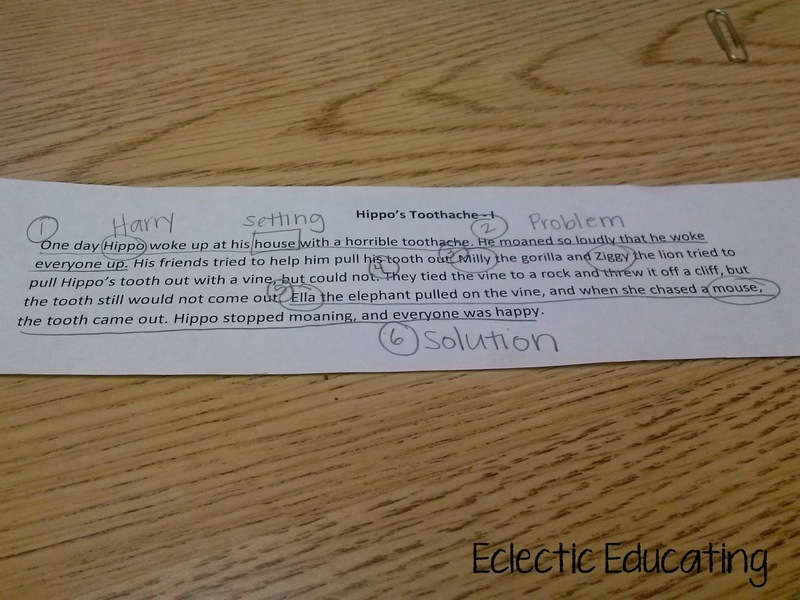 How do you help your students master summarizing? Just pinned this one! I'll be working on summarizing in a few weeks and I love how clear your instructions are and the checklist will be a huge helper to my kids! Thanks for sharing! I love the idea of a checklist. I think using Cornell Notes has really helped my students remember the important parts of summarizing- they know what they have to have in their notes in order to finish the book. 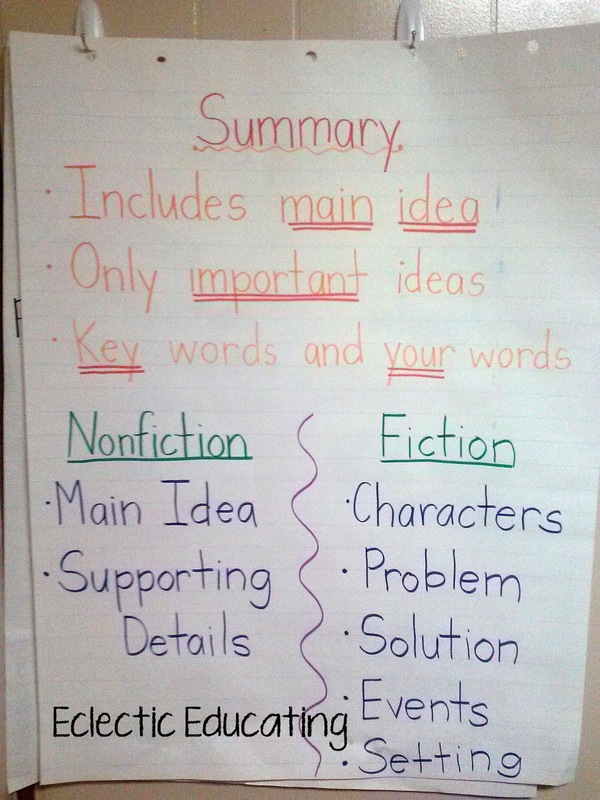 We haven't done non-fiction yet- I wanted them to get a good grasp on note-taking with fiction and then we'll move on. I really like having them discuss their summaries the next day as a warm-up- some of them have an "ah-ha" moment about something they forgot to include. Great post, Amy! You had a lot of excellent suggestions here; thank you!! Summarizing is difficult to teach - the kids always want to tell all! Thanks for the informative post.